Baka Beauty Products International has brought an all natural herbal relaxer and hair treatment to the Western World. Before you order, please read what this "relaxer" is and what it is not. We believe natural relaxers have gotten a bad rap for two reasons. there have been unrealistic expectations about what a natural relaxer could do. Baka Beauty Products' Natural-Laxer MIX is 100% natural powder made entirely of sun dried exotic herbs and Sahara Clay hair leaving it silky smooth. 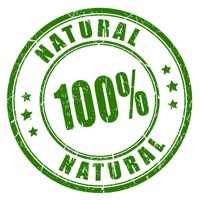 The herbs used in the natural relaxer are completely natural and completely safe. When mixed with the Sahara Clay in the Natural-Laxer MIX and hot water and applied to the hair and skin, it produces miraculous results. This ancient herbal secret has been used dating back to the pharaohs. Available now from Treasured Locks, Natural-Laxer MIX is an advanced spa treatment for your hair and skin that you apply yourself in the comfort of your own home. Each Natural-Laxer MIX is enough for approximately application for a "typical" head of hair, depending on the volume and length of your hair. Natural-Laxer MIX is combined with warm water to produce a thin paste and spread through the entire head of hair. Rose water, available as an option, is even better. Consistent results- tap water varies from location-to-location. By using purified Rose Water, you ensure the best possible results from the Natural-Laxer MIX application. Hair and skin's natural radiance are enhanced. Pleasant aroma- the Rose Water enhances the aroma of the Natural-Laxer MIX making for a more soothing spa experience. Baka Beauty Rose Water is a natural by-product of the steam distillation of roses for rose essential oil, not water merely scented with rose fragrance oils. For best results, a heated conditioning cap is also recommended. Detailed instructions are included with the product. For initial best results, apply once/week for 3 weeks. Suggested maintenance- apply every 4 to 8 weeks.